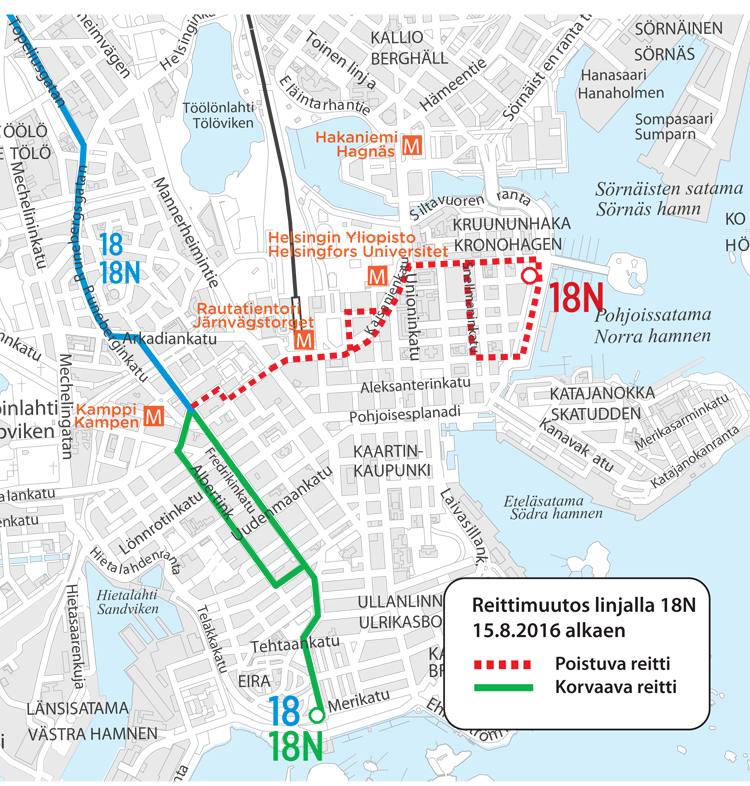 The route of night bus 18N will change in the center of Helsinki on 15 August when HSL transport services switch to winter timetables. The terminus of the route will move from Kruununhaka to Eira. The bus will start running from Kamppi via Viiskulma to Eira along the same route as bus 18 to improve bus links from/to Eira and Punavuori to/from the city center in the evening and on weekend early mornings.